Below is the full line of Plantronics Wireless Headset systems. The Plantronics CS500 series is the new standard in office wireless headset communication. The new Plantronics CS540 weighing only 0.7oz, is the lights headset on the market today, replacing the popular Plantronics CS55. You can now add 3 additional headsets in a conference (or training call) on all the new CS500 series headsets. Still available is the dependable Plantronics CS50. 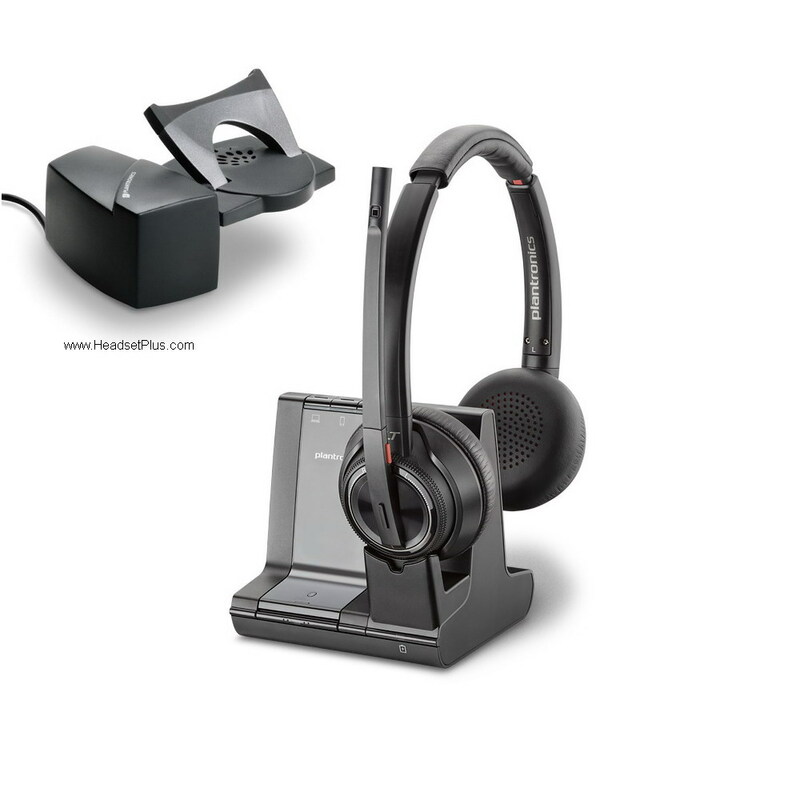 In addition, the Plantronics Savi 700 Series offers triple connectivity (desk phone, PC, and Bluetooth cell phone) all from the same wireless headset. Download the Plantronics Spoke software, it will provide you with seamless integration with your PC soft phone as well as added features such as answer and end call right from your headset. To add remote answering capability for the Plantronics wireless headsets, you will need the optional Plantronics HL10 lifter or EHS cable (compatible phones only) - see our Plantronics EHS page for details.